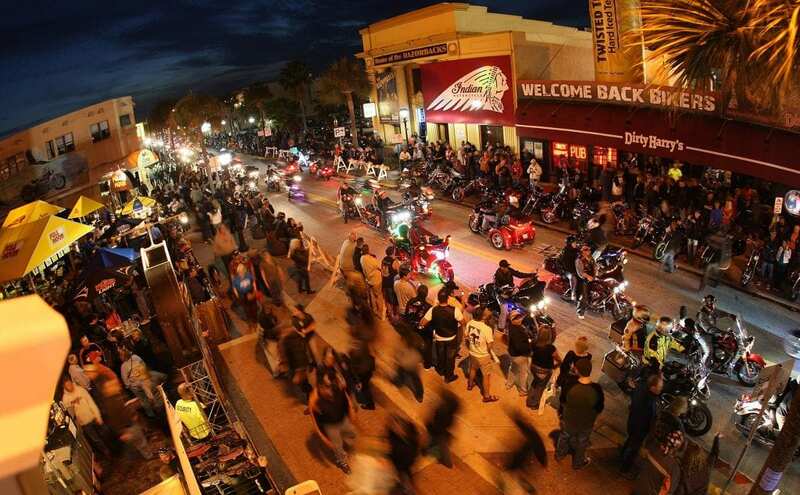 Bikers and spring break vacationers are flooding Daytona Beach for Bike Week and Spring Break. Those who are on spring break have been trickling into town all week, but it will be even more crowded this weekend for the start of Bike Week. Both events draw huge crowds of people each year and will impact the local economy in a big way. While the beaches are often crowded on beautiful days, very few crowds rival the lineup of bikes on Main Street in Daytona Beach. Bike Week officially begins today Friday, March 10th 2017. “It’s incredible, never seen anything like it,” tourist Sandra Raudabaugh said. Bike Week is about passion for freedom, fun and especially for motorcycles. Some say the crowd at Bike Week is changing. “A real transition of generations. You had your baby boomers, who were real strong in the marketplace, really drove a lot of that business, and now you have your millennials who are coming up,” bike enthusiast Janet Kersey said. Kersey said the economic impact crosses county lines to hotels, restaurants, bike shops and attractions all over Central Florida. An estimated crowd of a half-million people can cover a lot of ground. Lots of people are spending money, and spending time at the beach. “Definitely going to swim, walk down and look at some of the different shops and stores. Play in the sand,” tourist Jason Scolari said. The visitor’s bureau doesn’t even call it spring break yet, saying most families start showing up later in the month, adding to the billions of dollars from tourists each year. Restaurants and hotels are the big tickets — and then, of course, there’s the shopping. “Bought a couple of shirts yesterday, bought a purse today. A few things to eat, a drink or two,” tourist Joyce O’Brien said. Another big ticket item? The motorcycles themselves. Some people leave on a different bike than the one they arrived on. Traffic congestion is expected to last throughout the weekend.